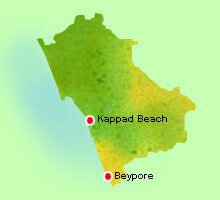 The district of Kozhikode has a unique place among other regions of Kerala. It was here that Vasco da Gama, the Portuguese navigator set foot in 1498, resulting in the beginning of close trade relationships with European powers, which later led to the establishment of their power in Kerala. The district was the former capital of the powerful Zamorins and is known for its beautiful beaches, historic monuments, unique culture and many more.